Blend all the ingredients for the dip until smooth and white. Spread the dip and top with olive oil. 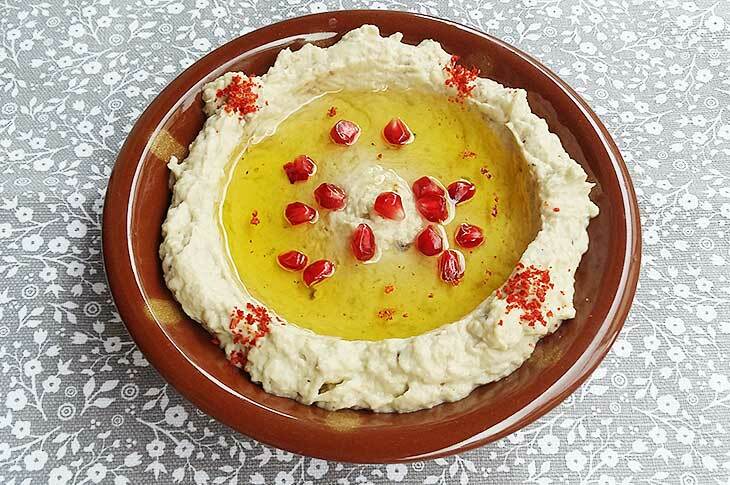 Sprinkle with paprika and garnish with pomegranate seeds. You can store this dip in a tightly sealed jars in the fridge. Another variation of the Moutabal can be prepared by replacing the raw garlic by roasted garlic.